When we talk about superheroes, Spiderman is one of the first characters that come to our mind. Created by the Marvel Comics, the character has certainly come a long way. In the last 15 years, there have been 3 different franchises as well. 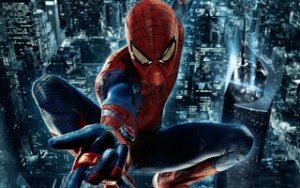 We have come up with a quick comparison of the early Spiderman entertainment and the latest Marvel’s Spiderman franchise in this post. No one can forget the good old days of our childhood when we were first introduced to Spiderman. While there were tons of cartoon movies and TV series at that time, the Ultimate Spiderman became the most popular rendition. Another animated series was developed by Colombia Pictures in 1977. While the Spiderman cartoon shows were pretty excited, they were mostly short-lived and ended after a few seasons. This is the first major introduction of the Spiderman to the big screen. The original trilogy is also known as the Sam Raimi series (as he was the director of the series). Released in 2002, it was the introduction to the first trilogy. We were introduced to Peter Parker and how he got his superpowers. Tobey Maguire played the lead role while Kirsten Dunst was cast as Mary Jane. In the movie, he fights against Norman Osborn, a wealthy businessman who turned into a villain by using an infected serum. Since the first movie received an amazing response at the box-office, its sequel was released within 2 years. In the movie, Peter struggles with the loss of his friend’s father and undergoes a personal dilemma. Meanwhile, he had to fight Dr. Octopus in the movie, who was the major villain. Surprisingly, the movie was not able to impress the audience like its predecessor. It was in 2007 when the last movie of the franchise was released. It explored the relationship between Peter and Mary Jane. The movie had a lot of going on. Peter had to fight not only his best friend, but also the killer of his uncle. The movie also introduced us to Venom, which was a mysterious substance that bonded with Peter’s body. While there were lots of hopes for its sequel, the fourth leg of the franchise was cancelled. It was after a gap of almost 5 years when the second franchise was started. The first movie introduced us to Peter Parker, being played by Andrew Garfield. The movie was about Peter learning his abilities and juggling school life. He had to fight against the Lizard in the movie. This was the second and the final leg of the new movie. It explored Peter’s relationship with his girlfriend and how he finally embraced the role of a superhero. Out of all the villains, we were introduced to Electro in this film. This is the latest rendition which is dominating the box office. This was made possible after Sony agreed to give back the licensing rights back to the Marvel’s Studio for Spiderman. He was first introduced to the Marvel Extended Universe in the Civil War. Tom Holland played the leading role in the franchise. Iron Man visited his residence in Queens, New York and asked him to join his team. This was the first standalone Marvel’s Spider Man movie. It explored the life of Peter Parker in his school and how he needs to hide his powers. Gradually, he takes over Vulture, the villain in the movie. It also had a few appearances of Iron Man as well. At the end of the film, he was offered a place in the Avengers. Though, Peter decided to be the hero of his neighborhood. Infinity War had a diverse cast, including the fan-favorite Spiderman. While he fought bravely against Thanos, the movie did end on a cliffhanger. We have to wait for the second half of the movie to know the future of our beloved superhero. It has been speculated that the next standalone film will be released in 2019. The movie will take place in the events after the second Avengers movie. Though, if you can’t wait so long for the new movie release, then you can check out Venom. Venom is all set to be released in October 2018 and is based on one of the deadliest villains. While the movie might not have a strong connection to the Marvel Cinematic Universe, it certainly looks promising. Tom Hardy is playing the lead role in the epic spin-off. Download Snaptube on your Android device and watch tons of superhero videos for free. The app has an unlimited collection of videos of all genres. You can easily find numerous Spiderman videos in the language of your choice. Also, you can watch all these movies on your device as well. The app has integrated various video sharing and hosting platform in one place. 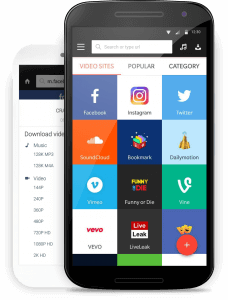 Therefore, you can find your favorite videos without switching between different apps. It supports the streaming of high-definition videos and that too free of cost.